How do you measure your success eventually? 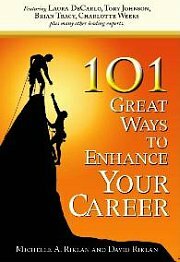 In the pursuit of career success, do you manipulate and maneuver your way through with no regards for others? If it is material wealth you are pursuing, what are you willing to do to trade for the quantum of money you want? Your definition of success has to be bigger and better than just a rank and money you make. Eventually these are empty. If it is money you are looking for then there are a lot of ways you can make that money faster than where you are now. Why not try those? So, your measure of success needs to be broader and more complex than a position, a salary scale or even where you live. 1. How High Have You Climbed? Will you measure your success with the distance you have climbed by the time you retire? What would the level be? How many heads would you be willing to step on in order to get to that level? How would climbing to that level make you happy? 2. How Many People Have You Helped? Or would you much rather evaluate how successful you are by the number of people you have helped on your journey in this corporate world? How do you ensure helping? Well, multitudes of ways. Let’s start with teaching people what you know. Pour out your secrets to success. Mentor someone. Make someone’s work more convenient at work. How about making it a point in your career that anyone who works with you will get convenience? Making it superbly easy to work with you? 3. How Much Money You Made? I touched on this in the introduction paragraph. I won’t get into it too much here already. How much is much? I bet you no matter how much you make you will say there is a little more that you need. Is monetary returns how you will measure your success? 3. How Much Time You Have For Your Family? Work life balance is a big issue with the workplace. Will you measure your success with how much time you could pursue your career and how much time you could spend with your love ones? Is that how you will measure success? 4. What Dreams Outside Of Work Have You Achieved? Will you measure your success with how much of your dreams outside of your work you have achieved? You may have aspirations outside your work world. How much of that have you pursued and how much time have you wasted on unnecessary clutter? Those time can be put to better use if achievement outside of work is the measure of your success. 5. What Difference Did You Make In The Corporate World? I challenge you to include this as a measure of your success. I am not talking about pushing sales in the company, increasing output and the likes. Of course, those are important for the company’s success. More importantly, you can measure your success by the positive values you bring to the work world. In a corporate world where people are expected to be cut-throat, back stabbing, make a difference by propagating great work values. 5. How Have You Used Your Position To Help People You Do Not Know? Where you work and what your company does inevitably touch people’s lives. Use that as your chance to help people you do not know. Start a virtuous cycle that breeds more positivism. How can you use the position that you are in to make people better? I am not talking about some boardroom conceived CSR program. I am talking about the way companies can propagate proper ethics. How will you measure your success? Eventually how will you measure yourself? For more articles related to "How To Measure Your Success", click here.